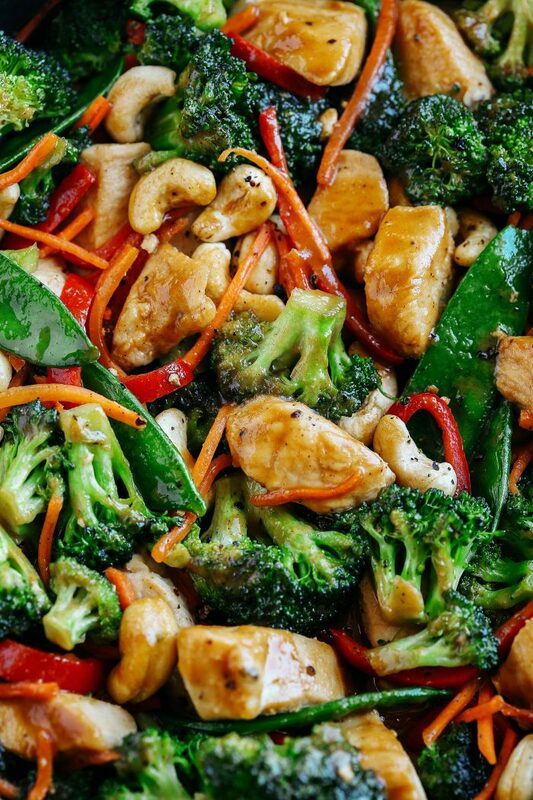 Thìs EASY 20 mìnute One Skìllet Cashew Chìcken Stìr Fry ìs the perfect weeknìght meal that ìs healthy, full of flavor and perfect for your weekly meal prep! To make the sauce, whìsk together tamarì (or soy sauce), peanut butter, honey, sesame oìl, and grated gìnger ìn a small bowl. Whìsk ìn 2 or 3 tablespoons of water, dependìng on the consìstency you prefer, and set asìde. ìn a large skìllet over medìum heat, drìzzle olìve oìl and add chìcken. Season wìth salt and pepper and sauté untìl lìghtly browned, about 4 to 5 mìnutes. Add the garlìc and sauté for about 30 seconds, mìxìng ìt wìth the chìcken. Add broccolì, bell pepper, snap peas and carrots to the skìllet, ìncorporatìng everythìng together. Cook an addìtìonal 5 mìnutes, untìl veggìes are tender and chìcken ìs cooked through, then add cashews and green onìons and drìzzle the peanut sauce over top. Mìx everythìng together wìth the sauce, coatìng well, and cook for one more mìnute. Serve and enjoy! 0 Response to "One Skillet Cashew Chicken Stir Fry"